Whether new or used, a car is one of the most expensive purchases you’ll make in your lifetime. So when your engine unexpectedly fails on you, a new purchase can be devastating. Why settle for making another heavy investment when an engine reconditioning + Campbelltown can restore new life into your existing vehicle? At ARA Engine Reconditioning, we specialise in engine types spread across a range of different industries. With 30 years of experience in engine reconditioning and car modification, we are well-equipped to bring your engine back to its original manufacturer standard. From the humble V6-cylinder, to a heavy-duty locomotive engine; no job is too small or too complex for us. Our shop stores a variety of machines, which are all specially designed to repair and modify certain engine components. Our AMC line boring tools remove the effects of ridging on cylinders, which means less wear and tear for future use, while our Magmaster crack detection tool locates and buffers out any cracks present in axles, gears, crankshafts and other important components. While having an impressive range of tools and equipment is essential, no device is any more important than the people who use them. 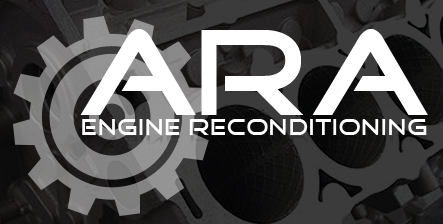 The team at ARA Engine Reconditioning has a combined 30 years of experience in reconditioning and modifying engines. Every day we work with clients from a wide range of industries, which enables us to apply our knowledge and get hands-on experience with a variety of different engine types. Our passion for learning new ideas and adapting to new technological advancements allows ARA Engine to thrive on a daily basis. At ARA Engine Reconditioning, we respect the needs of our customers and provide them with only the best possible parts on the mark. Many automotive services rely on second-hand parts to save on time and money. While some may see this as sufficient for the short-term; it poses a serious risk to the livelihood of each vehicle, which usually results in more visits to the mechanic anymore. We seek only the most trusted and reliable sources, who provide us with parts that meet official manufacturer and industry standards, which provides you with long-lasting enjoyment for your commercial or industrial-grade engine. With each new engine reconditioning + Campbelltown task that we commence, we take you through every step of the way. When we receive a new engine, we thoroughly inspect every minor and major component and perform a comprehensive chemical clean as well. We carefully analyse each engine component and change the necessary parts with official OEM replacements. From there, we use our specialised set of machinery to perform repair jobs, in order to bring your vehicle back to its original manufacturer standard. 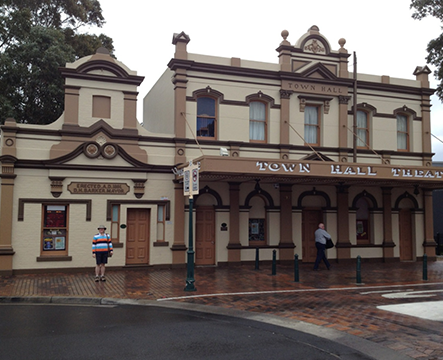 Campbelltown is a major suburban town that’s filled with many local businesses. Situated close to the Hume Motorway and a short distance from the Western Sydney University, Campbelltown is a popular destination for students and those travelling interstate. ARA Engine is proud to be serving the local community, by providing residents with a service that assures the longevity of their existing transportation methods. If you’re looking for a reliable solution to the wellbeing of your vehicle, trust the people you know and contact ARA Engine for your next engine reconditioning Campbelltown job.